Islamabad: A scuffle erupted between passengers after a heated exchange at the Islamabad airport. 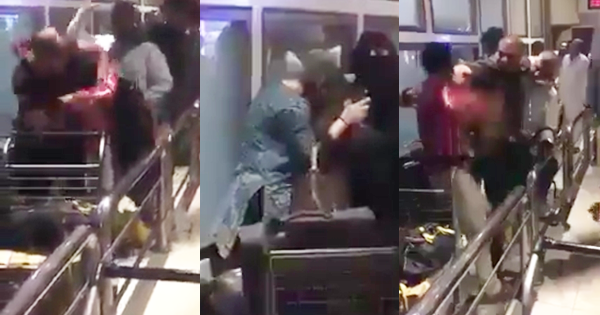 As seen in the mobile-cam footage, two passengers thrashed a man in front of the international arrival gate, with no security personnel in sight to end the fight. Some of the female passengers, supposedly accompanying the ‘unruly’ male travelers, also indulged in brawl with each other a few steps away. The reason of the brawl could not be ascertained.